When it comes to redecorating the lounge, it’s easy to get lost in picking the biggest parts of the picture that make up “your look.” The major pieces of furniture, the wallpaper or paint, the flooring or carpet. There are a lot of decisions to be made. However, there are also décor elements that oft go forgotten. Here, we’re going to look at them and why neglecting them can sabotage the look of the entire room. Over time, we tend to pick up little knick-knacks that have nowhere to go except on the shelves, mantles, and other odd storage bits of the lounge. When you go for a restyle of the room, you should take a second look at them and consider how much they really fit. Decluttering them can help you get rid of those that no longer evoke the same kind of joy as they once did. Do not, under any circumstances, forget your windows. Not matching the style of the treatments to a new room can be just as bad. Having a contemporary, minimalist curtain rail in a room that’s meant to evoke classic luxury is a huge mistake. A quick look at a decorative drapery hardware superstore can help you find the solution in no time. Having old curtains that don’t match the colour palette of a room redesign is another rookie mistake often made. If you have changed the wallpaper or paint colour on your walls but you hang up the same wall art and photo collages as you once had up, it can be immediately disconnecting to look at. 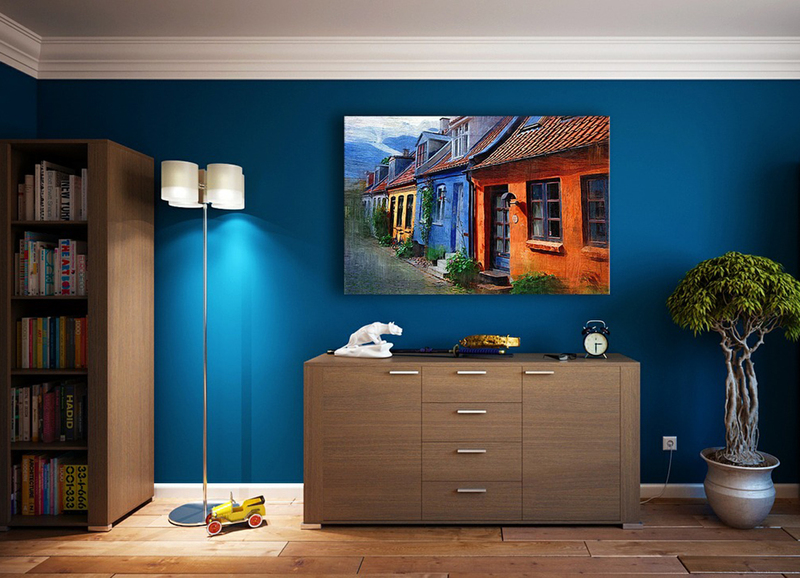 Wall art is one of the most important parts of room design, and it should be updated to go with the new surroundings. Pop art does not work in a room that’s more traditional and conservative in its tastes, for instance. Colour coordination matters in all aspects of the room, including the ceiling. White is the most common selection, but if you have a different coloured ceiling, you need to update it when you update the palette of the rest of the room. Most professionals agree that the room needs two main colours that the palette is based around and a third colour coming from above can make it all seem like it’s a mismatch. The lounge is a place to chill out, relax, and enjoy some of your creature comforts. Even in contemporary design, having it all be hard edges and perfect smoothness can make it look more like a showroom than anything. Look at places like bespoke throw pillow stores so you can customize a little softness to ensure that it fits any kind of look. Be sure to throw in at least one area rug if you’re changing to a hardwood floor, too. Don’t get let down by poor attention to detail. These little elements mentioned above can have a much more profound effect than you imagine, and the discord felt when they don’t match the redesign is all too noticeable.